Bridlington has been recognised as a centre of excellence for beach volleyball. The town’s south beach has been given international status by the Fédération Internationale de Volleyball, and named as a national hub by Volleyball England. In the past 12 months, more than 3,500 people have played the sport in the resort, which hosts national competitions as well as more informal sessions for beginners. There are two beach volleyball courts which can be used by the public, and two more will be added later this year. Adam Toes, sport and active communities officer, added : “Go Spike is a nationwide campaign delivered in partnership with Volleyball England ,which aims to increase participation and make beach volleyball more accessible to all ages. 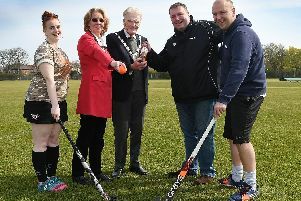 A number of free coaching sessions will take place throughout the year as part of the council’s new Active Coast initiative.